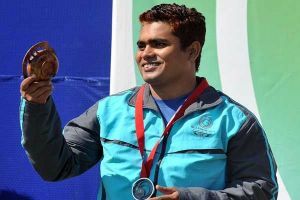 Bangladesh Shooter Abdullah Hel Baki wins Silver in 10 miters Air Rifle event in Commonwealth Games. Gold Medal winner India Bindra scored 205.3 and Baki scored 202.1. Only 3.2 points deficiency of Abdullah Hel Baki end the chance to win Gold Medal for Bangladesh after 12 years. Queen Elizabeth II opened the 20th Commonwealth Games at Glasgow, Scotland on July 23, 2014. A minute’s silence was observed for the victims of Malaysian Airlines MH17 flight crash in eastern Ukrain were 298 people died and 82 people were from commonwealth Nations. Malaysian Team also entered in the stadium with flag half-mast. “To you, the Commonwealth athletes, I send my good wishes for success in your endeavours. Your accomplishments over the coming days will encourage us all to strengthen the bonds that unite us,” said the Queen. “It now gives me the greatest pleasure to declare the 20th Commonwealth Games open.”, the Queen Said. About Three hour long colorful opening ceremony began with the history of Scotland and culturals activities from renown artists of Scotland. The baton has arrived at Glasgow after visiting all commonwealth countries with a journey of more than 100000 miles in past 288 days. Scottish First Minister Alex Salmond delivered his speech with welcomed message to all athletes and Commonwealth Nations in the opening ceremony. The Commonwealth Games are an international multi-sports games that held every 4 years since 1930. There are 53 members of the Commonwealth nations participate in the 4th largest multi-sports events of the World. 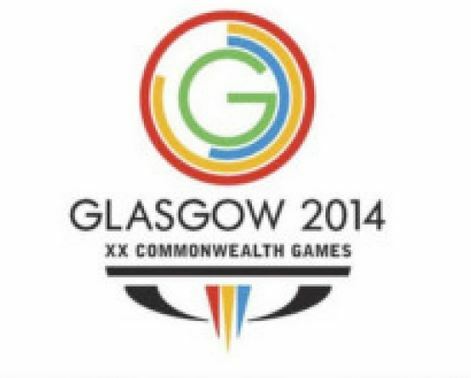 The Commonwealth Games are taking place on July 23 – August 03, 2014 in Glasgow, Scotland. 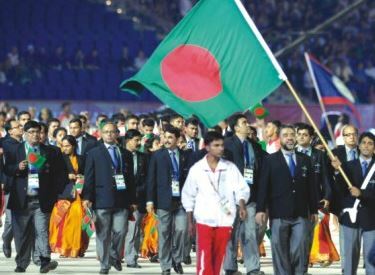 Bangladesh sent 69 members team of athletes, officials, contingent official and delegates to participate in the 20th Commonwealth games in Glasgow, Scotland. Bangladesh team will participate in 10 different sports like athletics, badminton, boxing, cycling, table tennis, shooting, gymnastics, swimming, wrestling and weightlifting in the Commonwealth Games 2014. Harun ur Rashid, Senior vice president of Bangladesh Olympic Association (BOA) is the Chef De Mission. Weightlifting: Mollah Sabira (48 kilograms), Fayema Akhter (58 kilograms), Monoranjan Roy (77 kilograms), Hamidul Islam (69 kilograms), Faruk Ahmed Sarker (official). 4,500 athletes from 71 teams are participating in 17 multi-sports games. Medals for Games: Swimming, Triathlon, Cycling, Gymnastics, Weightlifting. Judo. Medals for Games: Lawn Bowls, Shooting, Swimming, Cycling, Gymnastics, Judo, Triathlon, Weightlifting. Medals for Games: Athletics, Badminton, Lawn Bowls, Shooting, Squash, Swimming, Table Tennis, Weightlifting. Medals for Games:: Athletics, Cycling, Diving, Gymnastics, Lawn Bowls, Weightlifting. Medals for Games:: Athletics, Boxing, Diving, Gymnastics, Lawn Bowls, Table Tennis. AIA: Anguilla, ANT: Antigua and Barbuda, AUS: Australia, BAH: Bahamas, BAN: Bangladesh, BAR: Barbados, BOT: Botswana, IVB: British Virgin Islands, FIJ: Fiji, GHA: Ghana, GIB: Gibraltar, BIZ: Belize, BER: Bermuda, GRN: Grenada, GGY: Guernsey, GUY: Guyana, BRU: Brunei, CMR: Cameroon, CAN: Canada, CAY: Cayman Islands, NRU: Nauru, NZL: New Zealand, NGR: Nigeria, SRI: Sri Lanka, COK: Cook Islands, CYP: Cyprus, DMA: Dominica, ENG: England, TAN: Tanzania, TGA: Tonga, TRI: Trinidad and Tobago, TCA: Turks and Caicos Islands, TUV: Tuvalu, UGA: Uganda, VAN: Vanuatu, FLK: Falkland Islands, IND: India, IOM: Isle of Man, JAM: Jamaica, JER: Jersey, KEN: Kenya, KIR: Kiribati, LES: Lesotho, MAW: Malawi, MAS: Malaysia, MDV: Maldives, MAL: Malta, MRI: Mauritius, MSR: Montserrat, LCA: Saint Lucia, VIN: Saint Vincent and the Grenadines, SAM: Samoa, MOZ: Mozambique, NAM: Namibia, SWZ: Swaziland, WAL: Wales, ZAM: Zambia. NIU: Niue, NFK: Norfolk Island, NIR: Northern, Ireland, PAK: Pakistan, PNG: Papua New Guinea, RWA: Rwanda, SHN: Saint Helena, SKN: Saint Kitts and Nevis, SCO: Scotland, SEY: Seychelles, SLE: Sierra Leone, SIN: Singapore, SOL: Solomon Islands, RSA: South Africa.